Lance Robertson graduated from the Spears School of Business with a bachelor's in general business in 1993. Former Oklahoma State University business major Lance Robertson has been appointed as the U.S. Assistant Secretary on Aging and Administrator of the Administration for Community Living as nominated by President Donald J. Trump earlier this year. After serving in the U.S. Army, Robertson graduated from OSU in 1993 with a bachelor’s in general business from the Spears School of Business and obtained a master’s in public administration with honors from the University of Central Oklahoma. He graduated from the 2010 Governor’s Executive Development Program for State Officials and the first class of the Oklahoma Aging Advocacy Leadership Academy in 1997. He was named an honorary alumnus by the OSU College of Human Sciences in 2013 to honor his partnership with its gerontology program. Previously, Robertson served as Oklahoma’s Director of Aging Services for the past decade and oversaw a range of programs that included the Older Americans Act and a large 1915c Medicaid waiver. He was an administrator at OSU for twelve years, where he co-founded the Gerontology Institute and directed a regional professional association, PartnerShips for Aging. He is a past president of the National Association of States United for Aging and Disabilities (NASUAD) and has served on numerous boards and commissions. 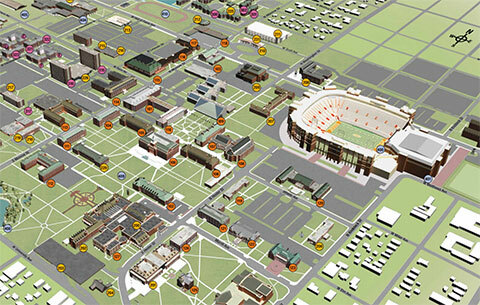 Robertson continues to partner on several initiatives within the OSU College of Human Sciences.